Our company has been cleaning carpets over the past 20 years. Our certified technicians are experience in state of the art carpet cleaning. We use the PH scale when providing our high quality carpet cleaning. What does that mean? We neutralize all of our cleaners with a fabric neutralizer that balances out all the cleaners. We leave your fabrics at a neutral state. You will not have a soapy residue left behind or crunchy stiff carpets. – Technicians are highly trained and screened with thorough back ground checks. We provide the best carpet cleaning in the business. We use a hot-water extraction method. We pre spray the entire area we are going to clean, while other companies just spray the spots only. We use our wand that has a glider on the end of it to prevent the abrasive brushing of other cleaning methods used by other companies. Our carpets dry faster do to the heat and suction of our truck mounted unit. During our cleaning we remove dirt, allergens, dust mites and other microscopic pollutants that collect in your carpet. We do recommend you vacuum your carpets regularly to remove dirt and pollutants. We pre-treat all spots and stains before we clean your carpets which include; gum, candy, urine, grease, wine, rust and more. H2o Dryout also pre sprays the entire area with a cleaner. After cleaning, we do offer stain protector. Did you know that your carpet cleaner needs to use different cleaners to remove different types of spots? Not all cleaners act the same. Did you know that many carpet cleaning companies cannot get out many spots because they only use one type of cleaner? At H2o Dryout we use specially formulated spot cleaners to get the stains out! Berber Cut-Pile, Cut Pile and Loop Pile, Commercial Carpets, Smart Strand, Frieze, Wall-to-Wall Carpets, Carpet squares, Scatter Rugs, Carpet runners, Nylon, Acrylic, Polyester, Olefin, Wool, Blends etc.. It takes typically 1-2 hours for your wall to wall carpeting and some specialty rugs to dry after our cleaning process. 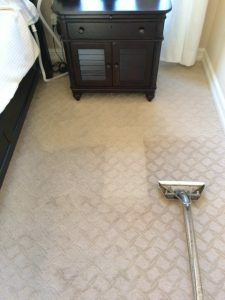 Have you ever had your carpets cleaned by another company and two days or several days later they looked as they never were cleaned or even worse? Let me tell you why. The company never did an acid rinse (also known as Zero Residue cleaning). The reason why they didn’t is because they keep their supply cost down by taking this short cut and they can give you a lower price and also they know you will need to get your carpets cleaned much sooner. At H2o Dryout we use the PH scale when we do all of our cleaning so no matter what cleaners we use, we always balance them out with a rinse to neutralize the cleaners. The benefits to you are your fabrics and fibers will not deteriorate as fast and also stay much cleaner for 3x the amount of time with this method of cleaning you will save you money in the long term. 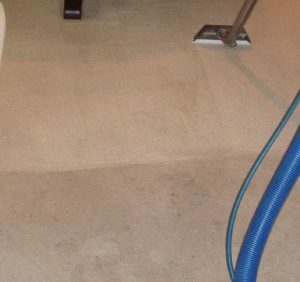 View our carpet and rug cleaning gallery for before and after photos. Did you know that most carpet cleaners do not even know the types of fibers that are in carpets?